The brilliant and long central mountain range in Cebu has meant that most of the towns, villages and cities are located on the coastal areas of the country. Although mining has removed most of the forestry from the central areas, you can still hire a guide to take you to some of the remaining beautiful parts hidden away in the mountains. Spectacular diving opportunities are available on the south west coast and the far northern point of the island, with some astonishing white-sand beaches that are perfect for laying your beach towel out and soaking up a few rays. 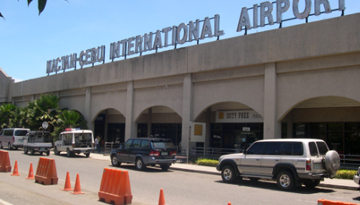 As the most developed island in the Philippines, Cebu is the second most important area when considering economic importance for the country - the first being Luzon. Some of the more popular tourist attractions include the Santo Nino Basilica, the beautiful Taoist Temple, a fascinating butterfly sanctuary, the mountain view nature park which gives you spectacular views of the surrounding nature reserves and a selection museums and historic castles. Cebu really is a traveller's island fantasy come to life, with a relaxed pace of life, beautiful surroundings and crystal clear waters. Emirates offers a Long Haul Economy flights to Cebu at £458.87 for roundup trip. Book Now. 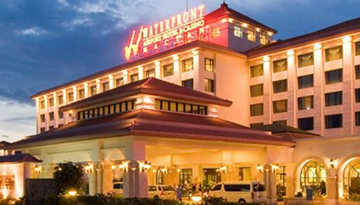 Special Offer - Superior Room - £51, provide a pleasant 4 star stay in Lapu-Lapu City. 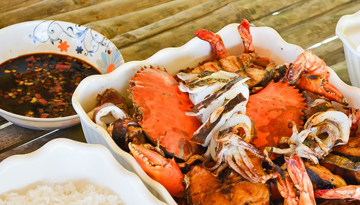 Fly from London - Cebu & Stay for 5 nights with 3 star accommodation. Room only.